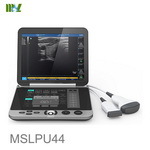 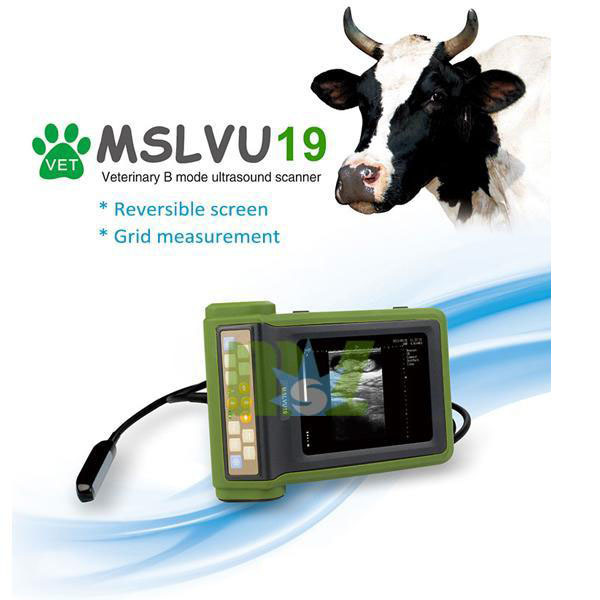 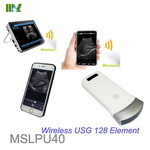 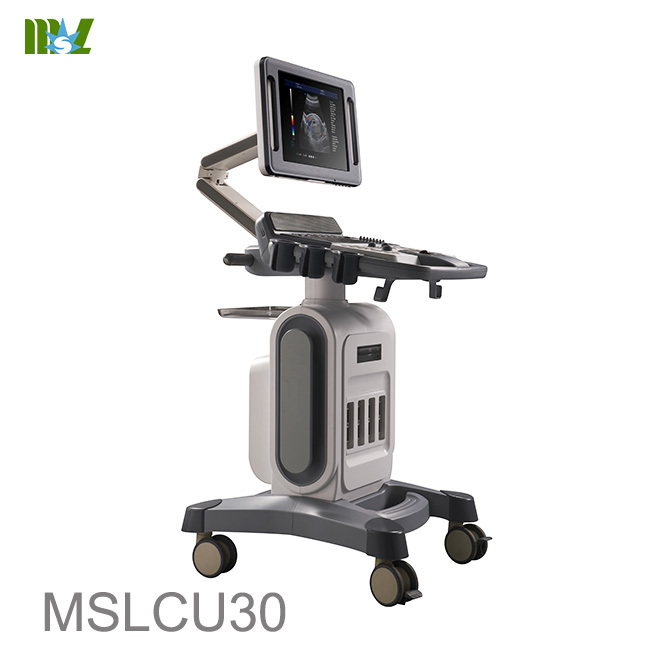 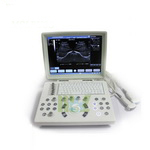 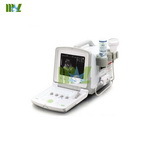 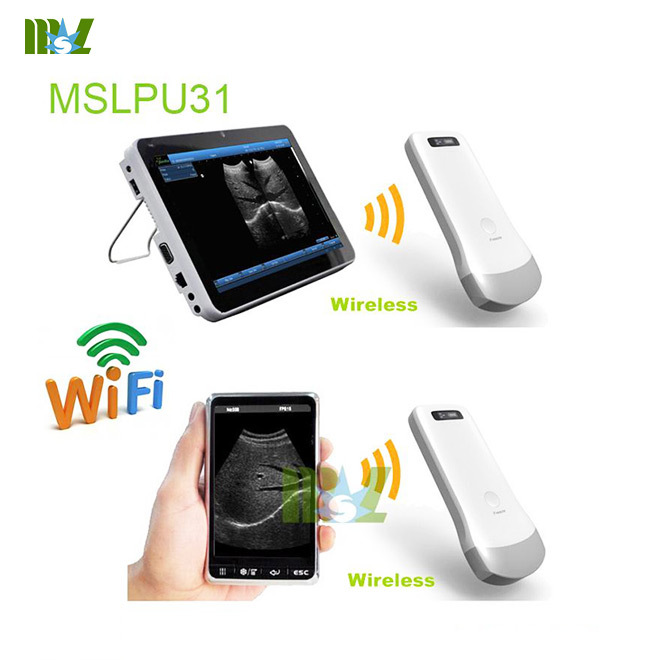 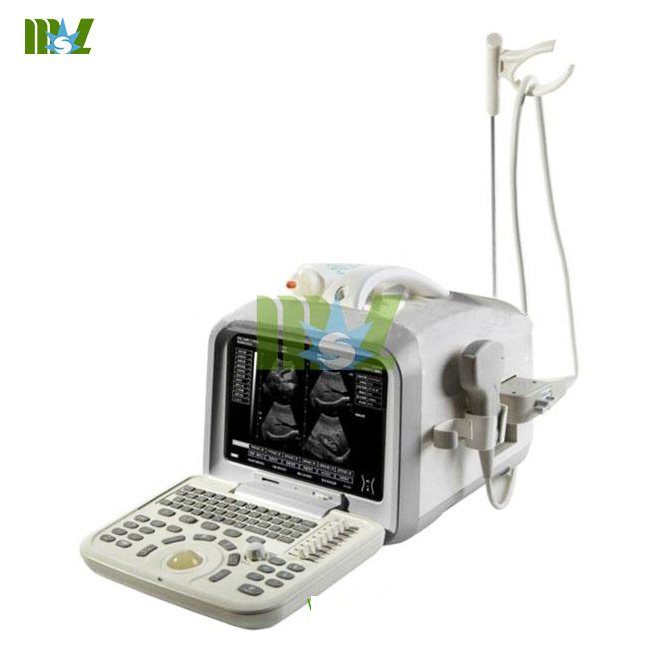 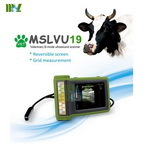 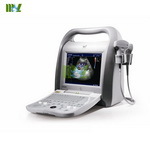 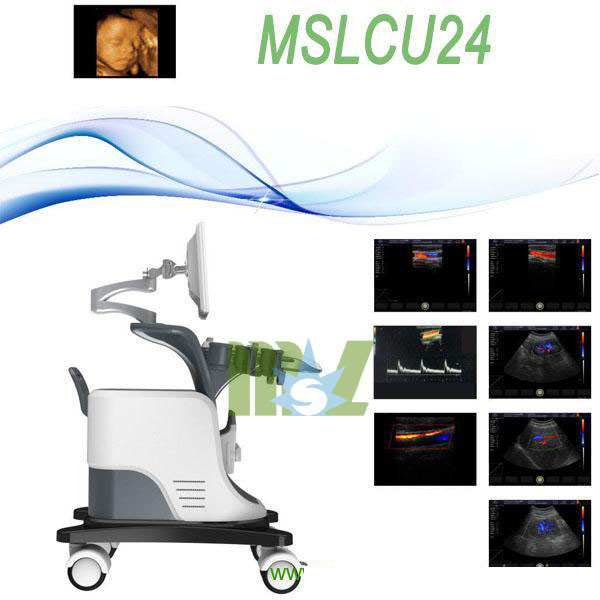 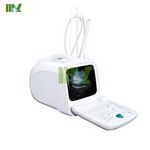 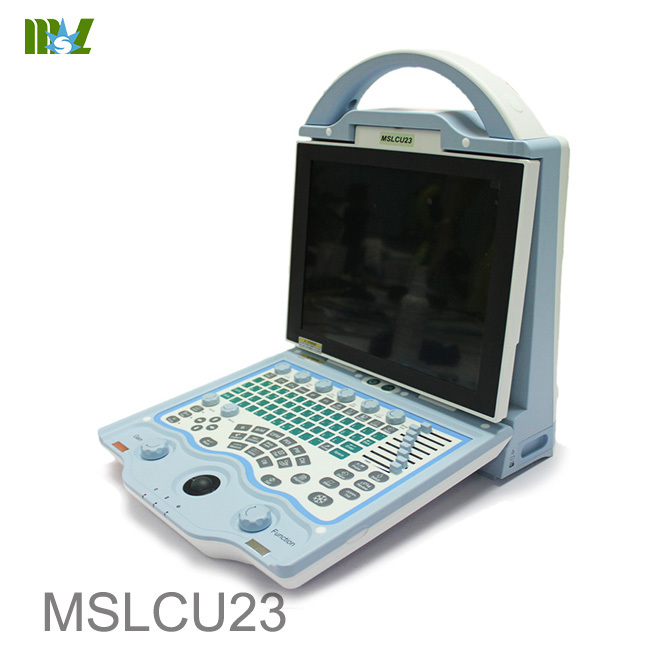 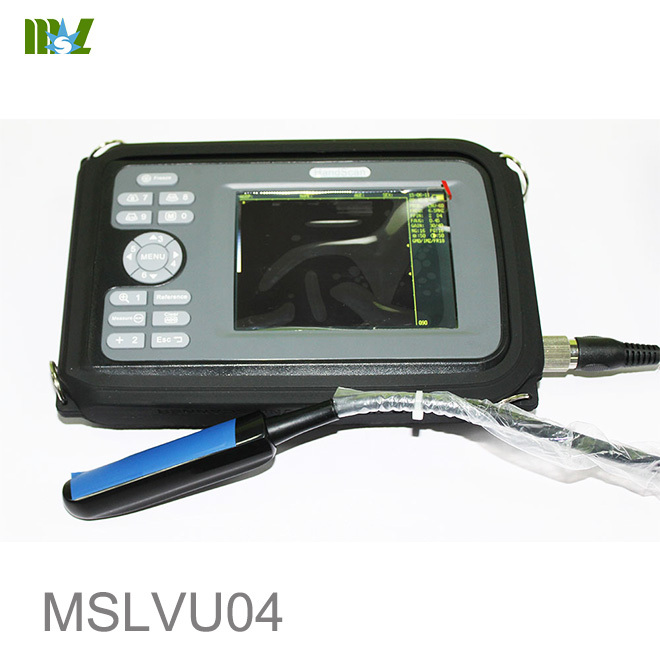 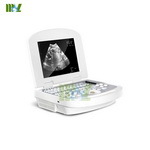 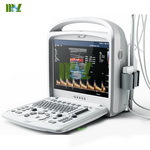 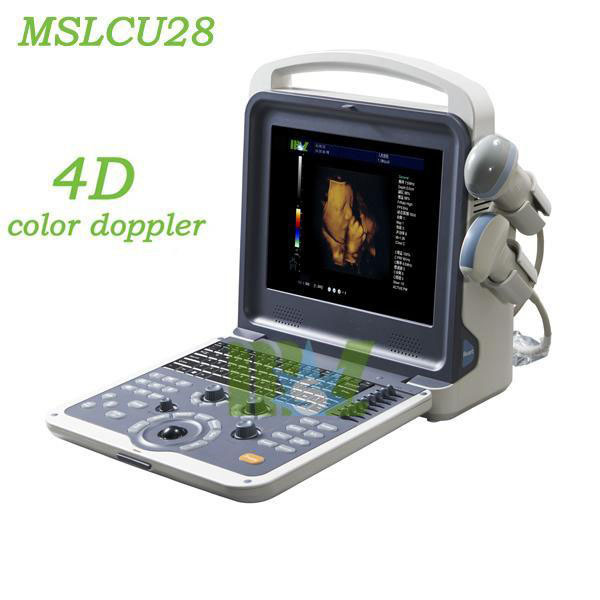 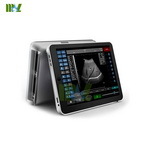 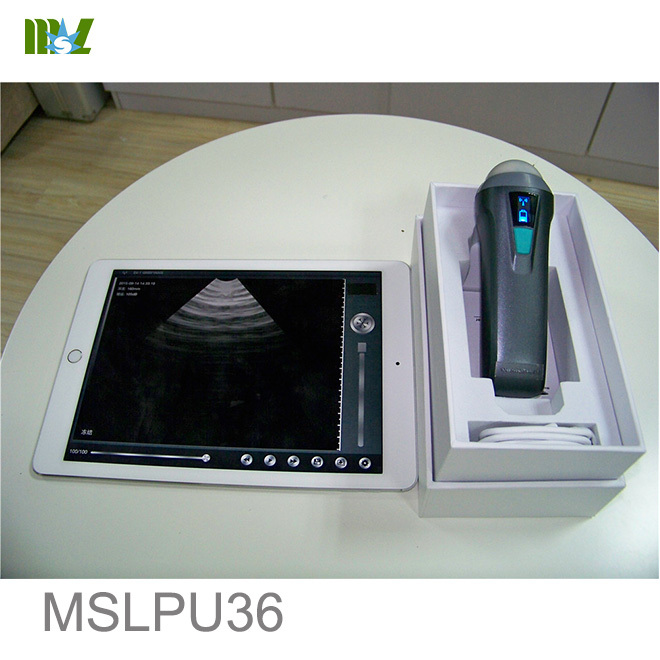 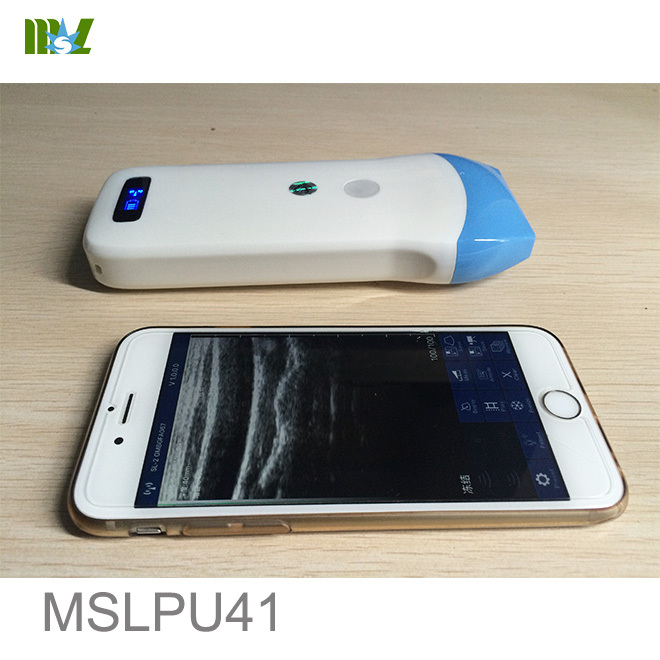 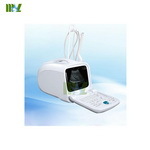 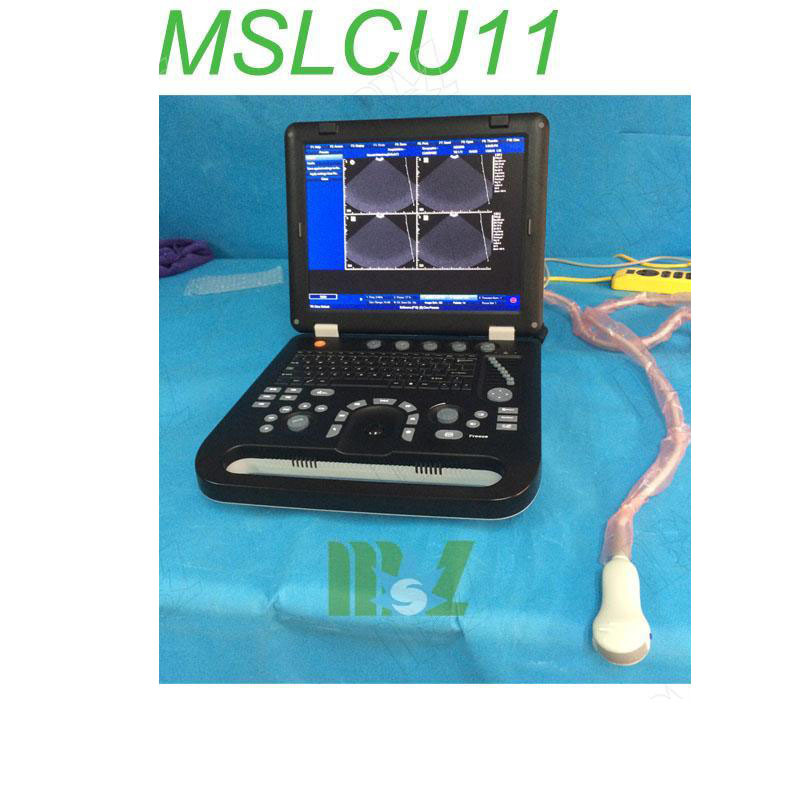 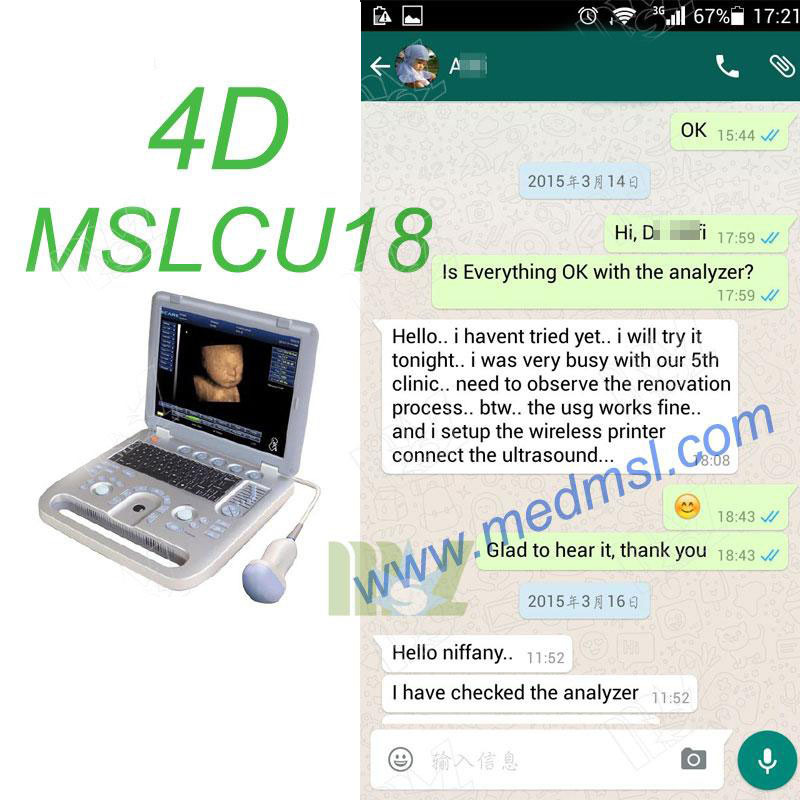 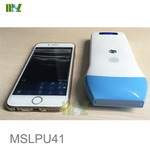 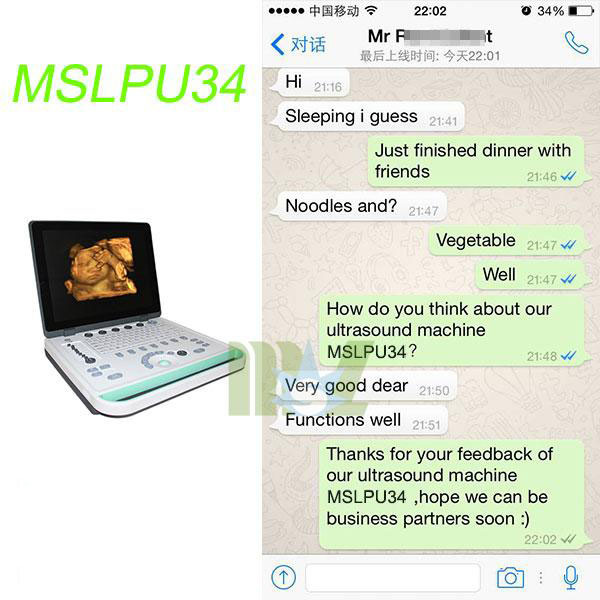 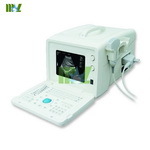 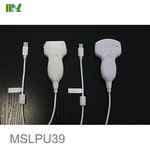 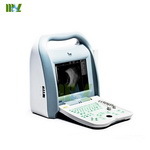 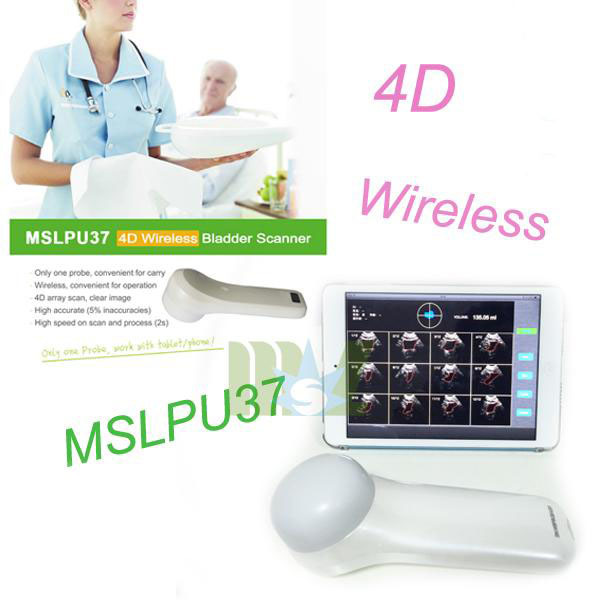 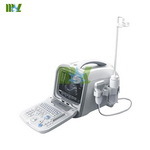 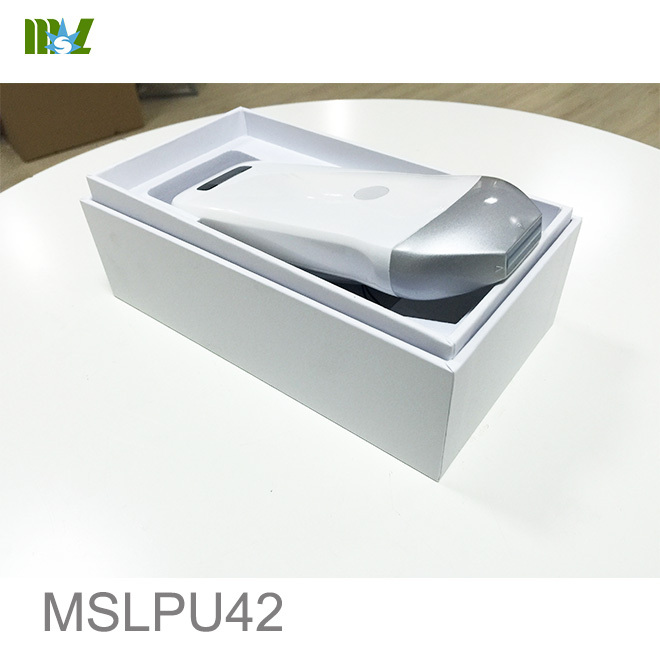 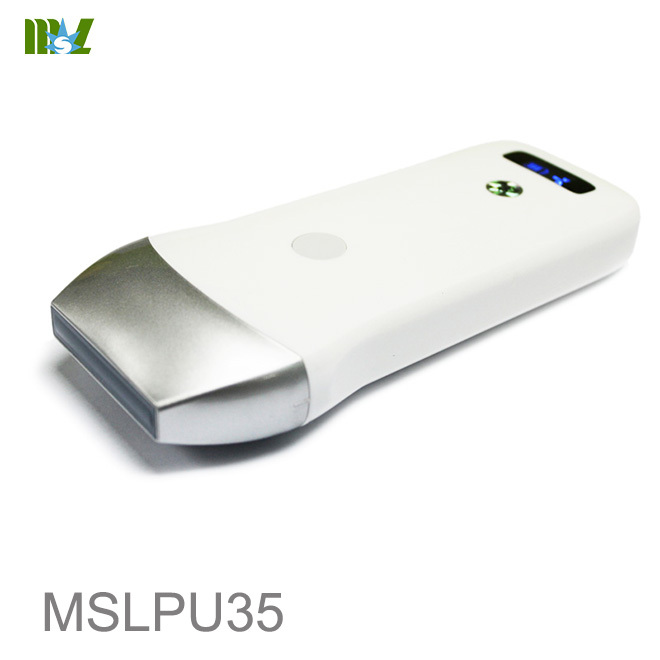 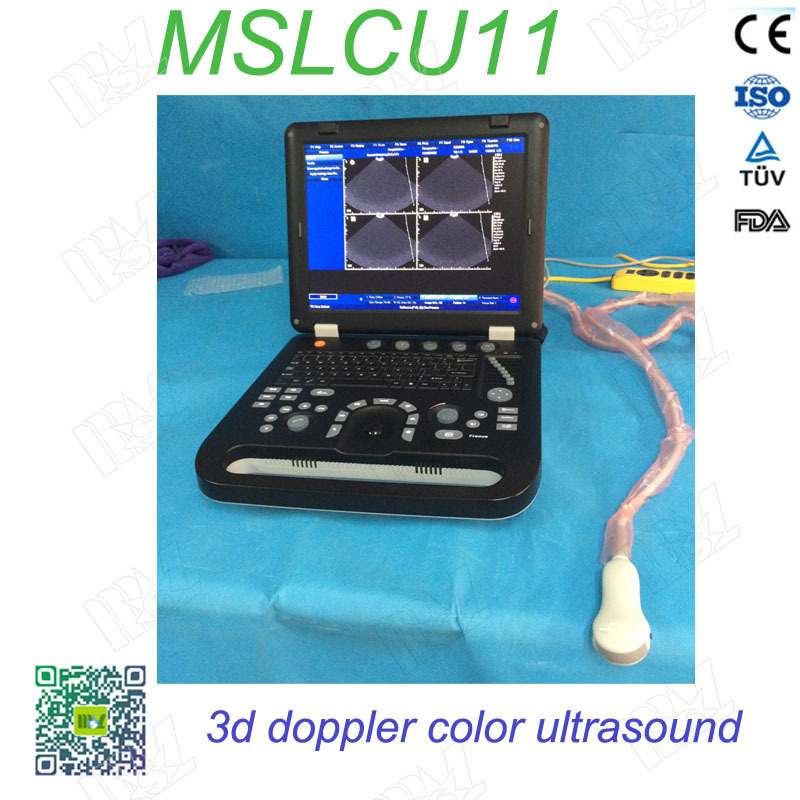 MSLPU13 Portable Full Digital B ultrasound equipment:Lightness,Conciseness, Economics and Utility. 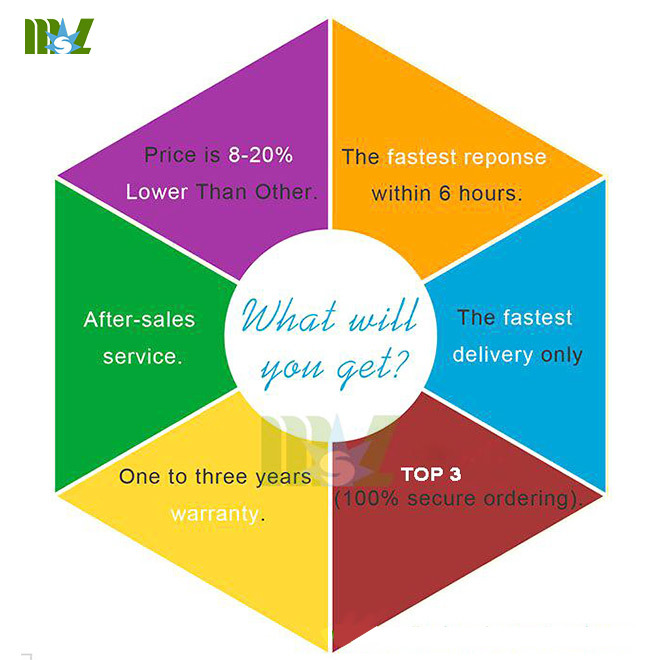 Economics & Utility, easy for owning. 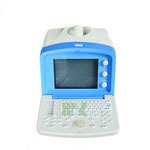 Backlight silica gel PBT keyboard, easy for darkroom operation. 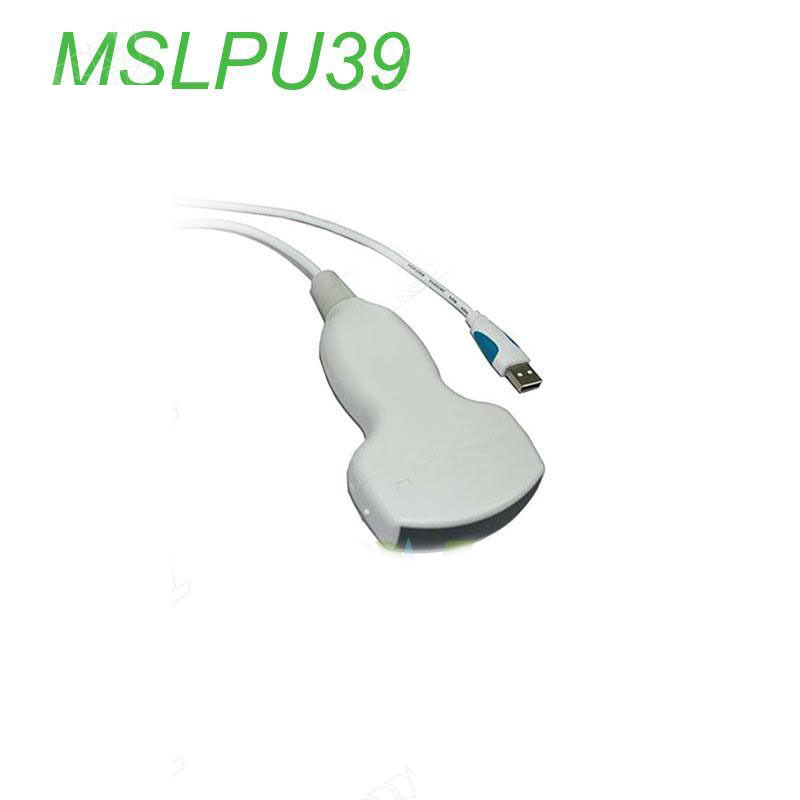 Double activated socket, probe electronically shifting. 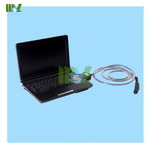 Five display mode: B, 2B, B/M, M, 4B. 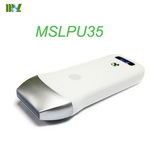 200 images permanent storage, USB flash disk storage and update support. 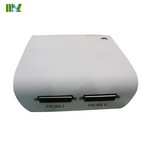 Expanded port: Video port, S-Video port, RS-232 port, USB2.0 port, VGA port. 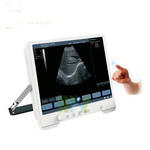 Report function: normal report, OB report, gynecology report, urology report, heart report. 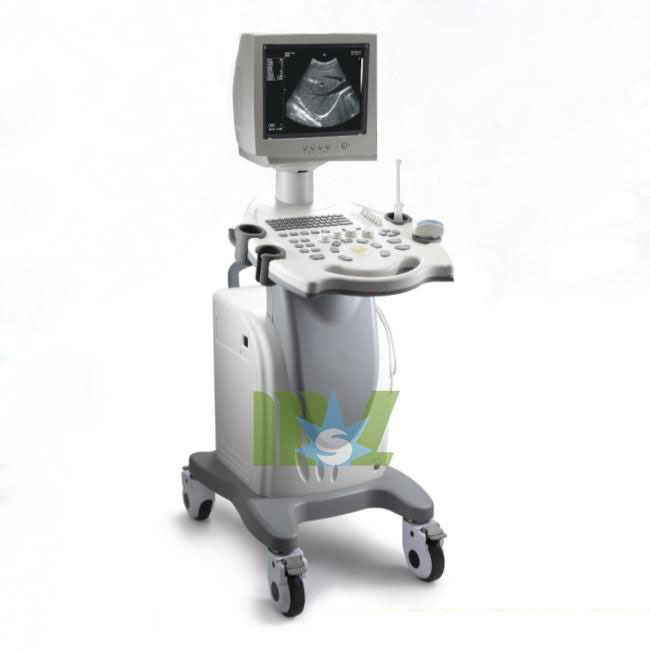 Standard configurations: Main unit, convex probe.